Sunday September 2, 2018 - National Super Alliance leader, Raila Odinga, has said he is fully behind the ongoing war against corruption saying he will not defend any corrupt individual. 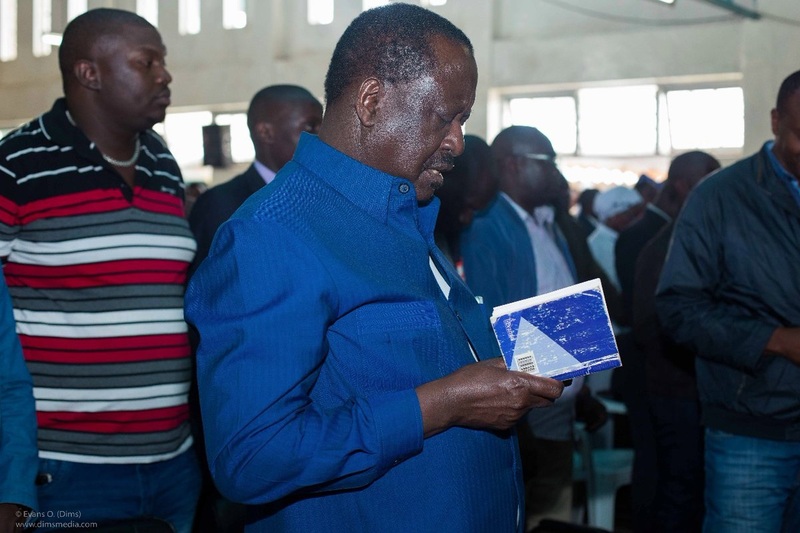 Speaking in Siaya County on Saturday, Raila Odinga, who is also the Orange Democratic Movement (ODM) party leader, said that he will not protect those who engage in corruption not even if they are his relatives. “I will not protect you even if you are my blood brother," Raila said. The former Premier also asked Kenyans to support the Director of Public Prosecutions, Nordin Hajj, and CID boss, George Kinoti, as they continue to arrest corrupt people who have been stealing public money for years. The last few days have seen top-level Government officials arrested over alleged involvement in corruption. On Tuesday, Deputy Chief Justice Philomena Mwilu was arrested over corruption related offences.